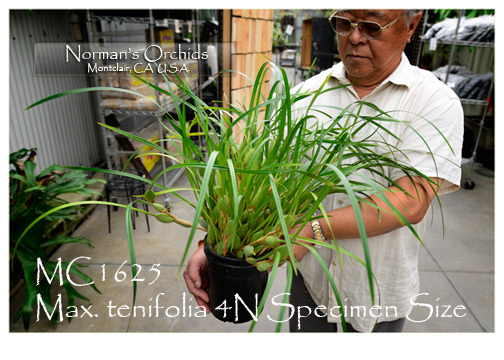 A rarely available Specimen Size of this delightful tetraploid form of Maxillaria tenuifolia with its irresistible coconut fragrance ! 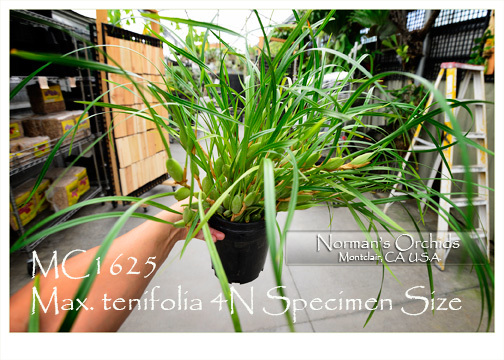 Our stock on these specimen plants is extremely limited, the plants being 7-10 years old and bearing 70-100 super-sized oval pseudobulbs – just waiting to WOW you when loaded with deep mahogany flowers bearing their delightful fragrance. A vigorous grower, indoors or out in frost-free areas, this 4N specimen is one addition that belongs in every award-quality collection !